We often think of Jeremiah as the “weeping prophet” but the Adventist Bible Commentary had another interesting descriptive for Jeremiah; the prophet of heart religion. For the next three Sabbaths we will be taking a quick look at the book of Jeremiah during our sermons. I hope these sermons will inspire you to do a deeper study for yourself of this amazing book of the Bible. May all of our hearts be changed by the only One who can truly change them. On Sabbath, November 3, we will be having what I hope will become an annual “Homecoming Sabbath.” The purpose of Homecoming Sabbath is to invite anyone who has ever attended Madison Campus Church to come back for a Sabbath of fellowship and renewed community. We particularly would like you to invite those who may still have their names on our church books but are not attending. We hope it will be a time for reconnection. Our church services and Sabbath schools will happen at their normal times. 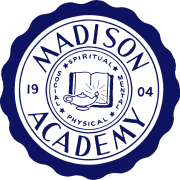 The church services will be planned to highlight Madison Campus’ amazing history and legacy. After church our social committee will be providing a meal out at Paradise Ranch followed by an outdoor concert and animal show for the kids. The meal will start at 1:30 pm, the concert will be from 2:30-4:30 pm, and the animal show will be from 4:30-5:30 pm. This will be a fantastic time for fellowship. In keeping with our theme for this year, Simplify, we are trying to keep our first homecoming simple yet meaningful. Our goal is to have invitations available for you to start handing out to those you want to invite by next Sabbath, October 13. Please feel free to start right now inviting people. The Architect’s Workshop will be presenting options for proposed renovations to our Building and Design and Finance Committees next week. These committees will be submitting recommendations to a special board meeting scheduled for Monday, October 15. Please keep this project in your prayers and specifically ask that God will lead. You are invited to attend a four-part seminar presented by Pastor Roy Rugless on being ready for the second coming through the Holy Spirit, November 2-3-4 at the Ridgetop SDA Church. As a preparatory step to the weekend, he suggests you read “Steps to Personal Revival” (available for $2 at Nourish or online for free) as it lays the foundation for Pastor Rugless’ presentations. The first meeting will be at 7 p.m. Friday, followed by 11 a.m. & 2 p.m. on Sabbath, and closing with a 9 a.m. meeting & prayer breakfast on Sunday. Come join us for all four sessions and potluck on Sabbath. For more information please contact Shelley Solomon at 615.692.9465. 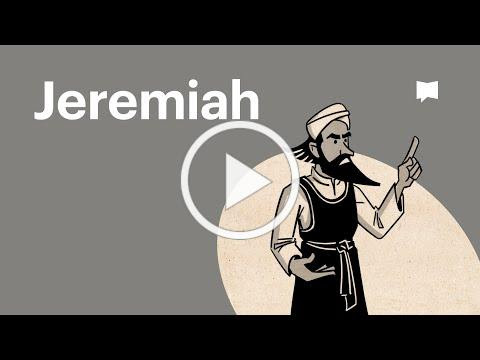 This video is an excellent introduction to the book of Jeremiah.